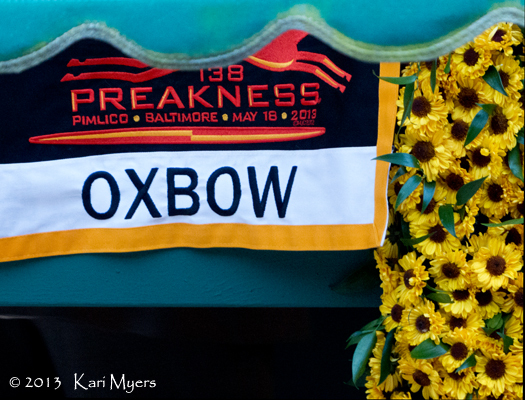 May 18, 2013: Oxbow’s saddle cloth and garland on display at the Lukas barn after the Preakness. 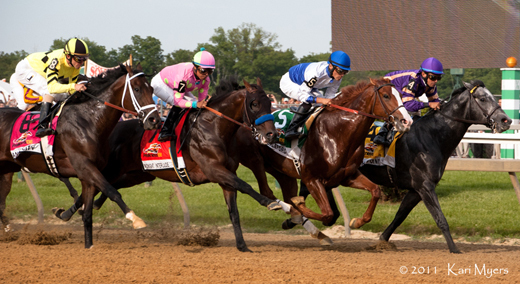 I’m still slightly bitter about Pimlico’s policy this year of not allowing SLR cameras, but my second-string Panasonic did a passable job. Based on my recent posts, you might have noticed that I’m slightly obsessed with Oxbow. I love his unique coat, his quirky and overly energetic attitude, and his fantastic pedigree. 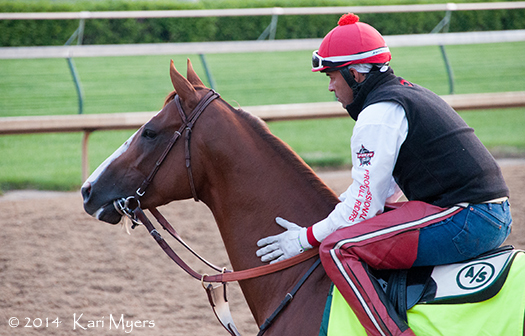 I did want to see Orb win the Preakness, but my sentimental favorite was Oxbow. Once it looked like Orb wasn’t going to get it, I screamed and yelled like a crazy person for Oxbow. 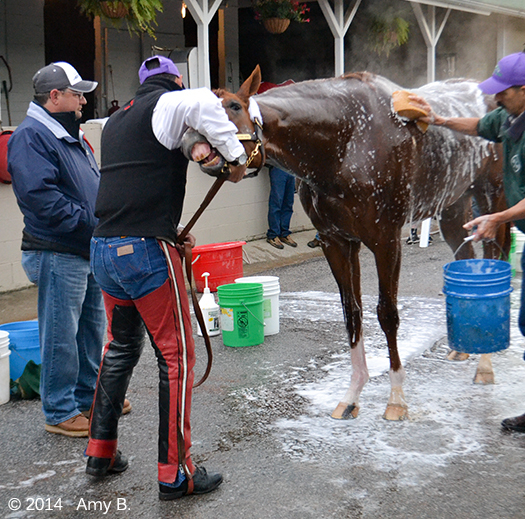 After the race was over, my friends and I went straight to the stakes barn where the Preakness horses are stabled. What an amazing experience. I was so starstruck at every turn. There were so many racing personalities that I watch all the time wandering about, along with other famous people that even non-horse people would recognize. 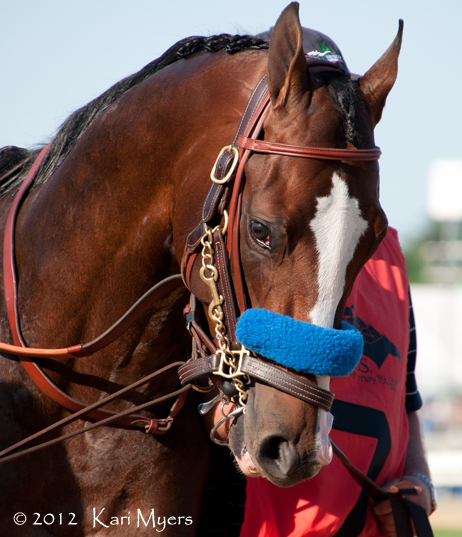 As usual, though, I was focused on the horses. My friends got to pet Orb, I got to hang out with Optimizer (who I’ve been in love with since I first saw him race in 2011), and I got a flower from Oxbow’s garland. Even with the rain episode, it was a great day! 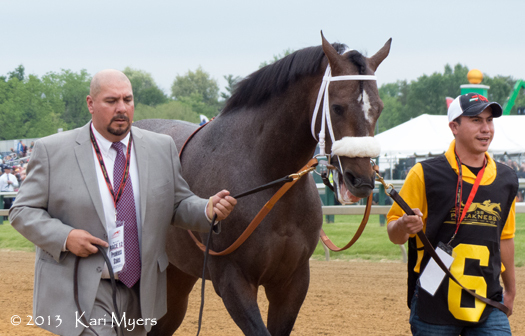 May 18, 2013: Oxbow on his way to be saddled for the Preakness. 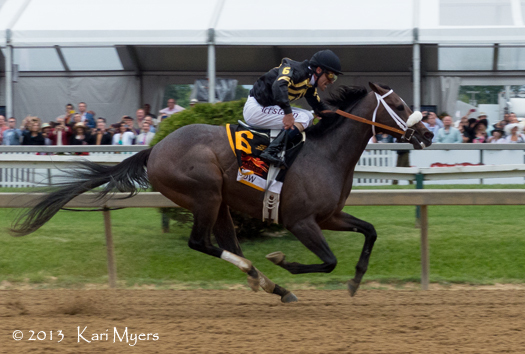 May 18, 2013: Gary Stevens and Oxbow stole the Preakness on the lead. I love this win! Ironically, the only bet I won all day was my win wager on Oxbow, but by the time we were done at the barns the windows were closed and I couldn’t cash it! 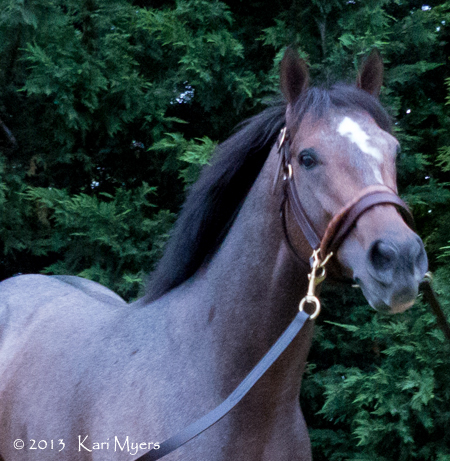 May 18, 2013: Oxbow finally returned from the test barn at about 8pm after the Preakness. A crowd of photographers was waiting for him, and this is just about the only frame I took where he’s standing still. This horse has SO much energy! 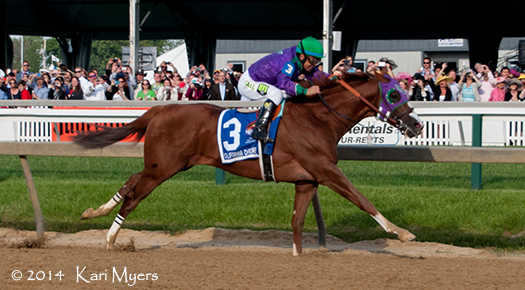 May 21, 2011: Shackleford’s winning stretch drive in the Preakness. 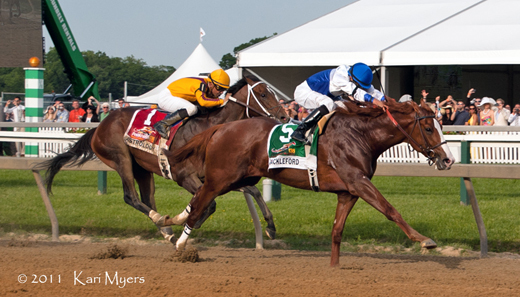 In honor of Shackleford’s final race today—a win in the Grade 1 Clark Handicap—here’s a photo of his first Grade 1 win! 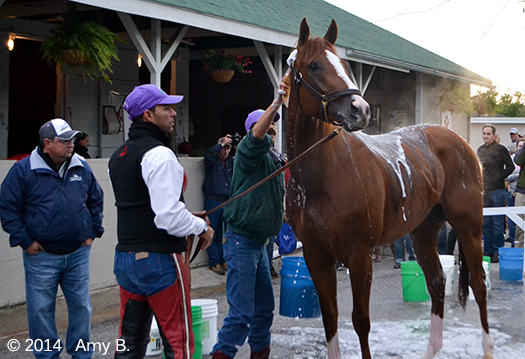 2011 marked my first visit to Pimlico. 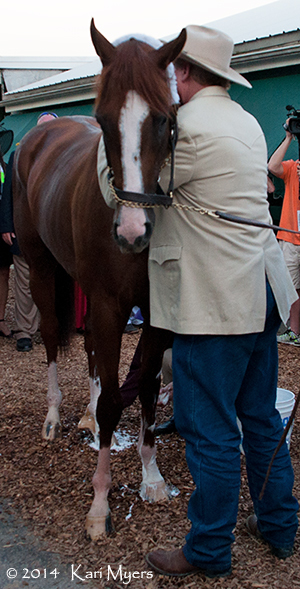 I’d always wanted to go to the Preakness, but it just never seemed to work out. 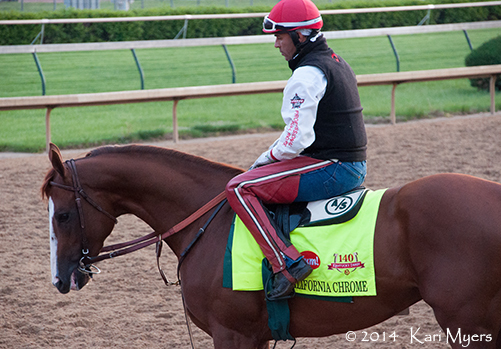 I went to the ’11 Kentucky Derby and decided that I had to make it to the Preakness, too. After all, Baltimore is only a 5 hour drive for me. I found someone on eBay at the last minute who was selling front row seats in the stretch for face value, so I went ahead and bought them. It turns out that he reserves the same box every year, but he doesn’t always have enough people to fill all the seats (8 people per box at Pimlico). We kept in contact, and I got the same seats for ’12 and will get them again in ’13. The same people sit next to each other year after year because of the way this ticketing system works, so it’s like a little reunion every year. 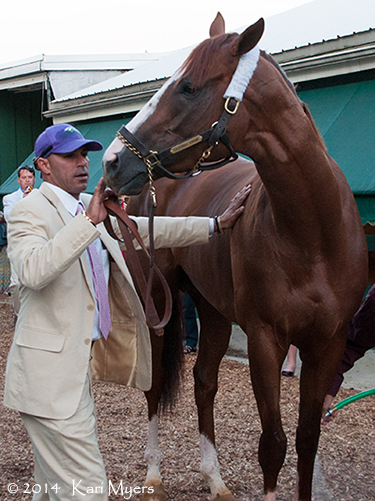 I fell in love with Shackleford early in ’11 and never looked back. 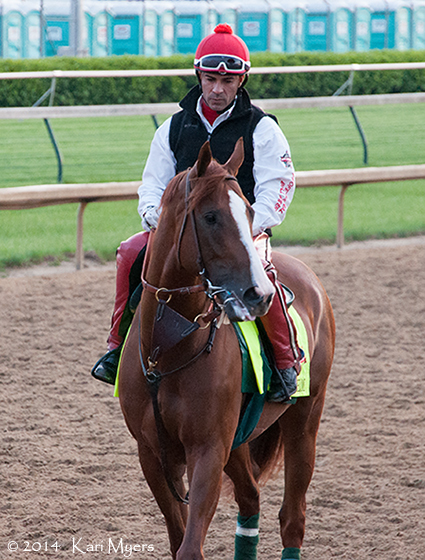 He first caught my eye because he’s named after Shackleford Banks, which is in my home state of NC. 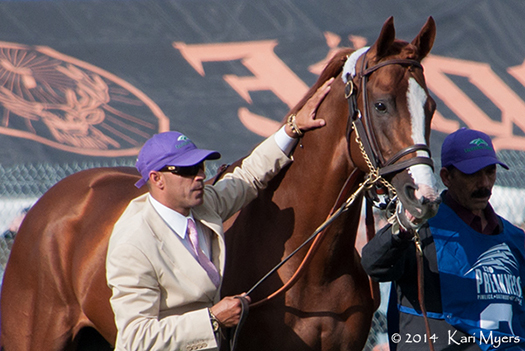 After he ran such a game race to Dialed In in the Florida Derby, I knew he had some big races to come. He’s such a beautiful colt and seems to have a huge personality, so it’s no real surprise that he has such a fan following. The camera loves Shack, and mine is no exception. 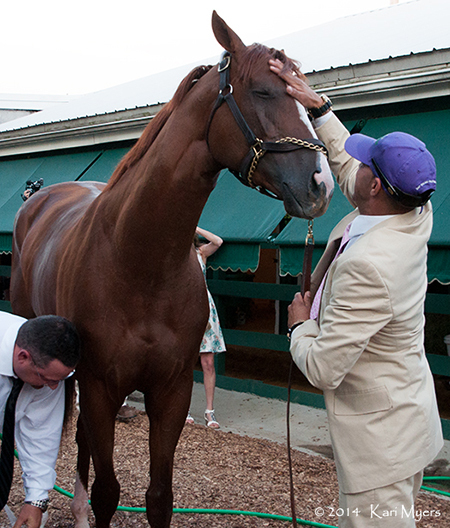 I would bet that I have at least 2,000 of him alone, which is due in part to the fact that he showed up at so many major racing events throughout the last two years. Sound, gorgeous, and ended his career as a winner. 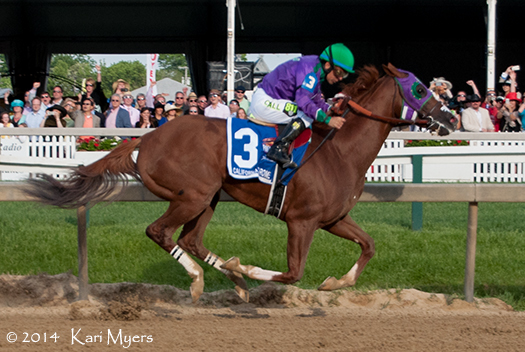 I’m happy he’s on to what will hopefully be a solid stud career at Darby Dan, but sad that we won’t get to see him prancing out onto the track again. 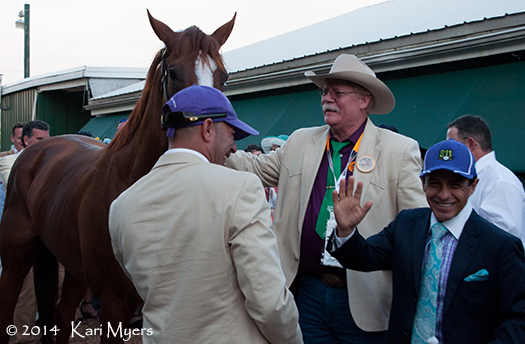 Kudos to Dale Romans and company for keeping Shackleford fit and happy, and to Jesus Castanon and John Velazquez for piloting him home safely every time! 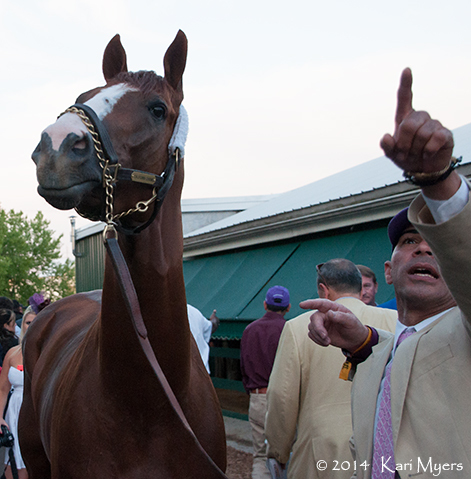 May 21, 2011: First time past the stands in the Preakness. Left to right: Dance City, Midnight Interlude, Shackleford, Flashpoint. 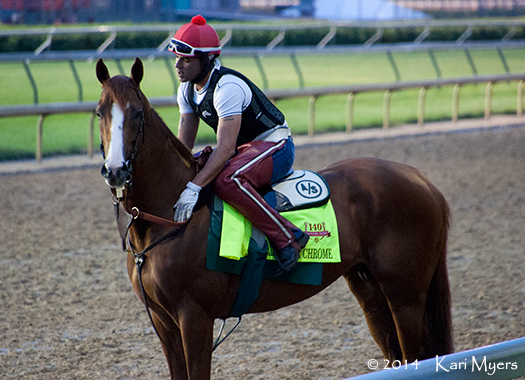 May 19, 2012: Bodemeister at Pimlico for the Preakness. 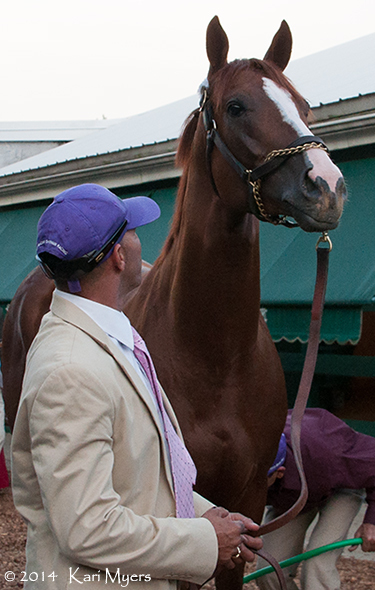 This stunning colt is Bodemeister, on his way to be saddled for the Preakness at Pimlico in Baltimore, MD. 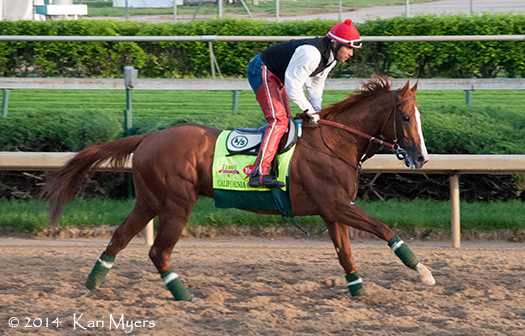 He ran a gutsy second to I’ll Have Another, just like he did in the Kentucky Derby. We had rail seats mid-stretch for the second year in a row, so I had a perfect view of each horse as they walked by from the barns to be saddled. I have several other photos of Bode that I’ll add over the next few weeks, so I’ll just let this one stand on its own.